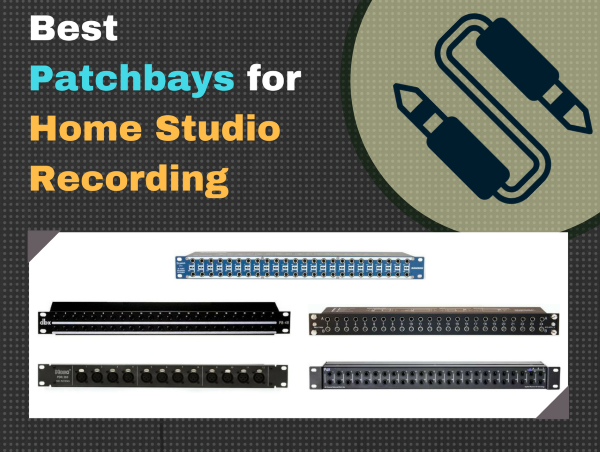 Let’s get you connected with the best patchbay for home studio recording. There are a number of patchbays to choose from, so in this guide we’ll take a look at a handful, and narrow down our choices by our final analysis. By the end of this post, you will know which patchbay is right for you. Quick answer: we consider the Samson S-Patch Plus to be the best bet for home studio owners, followed up by the Neutrik NYS-SPP-L1. … particularly to the studio owner with a growing gear collection, or who needs an easy way to manage lots of connections. Sometimes spelled “patch bay” or “patch panel,” (Wiki links) it’s an electronic device that allows you to rout incoming audio signals to any one of several physical outputs. 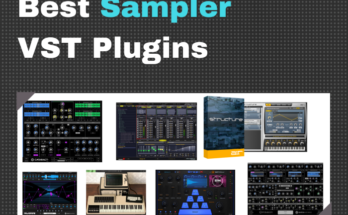 They are typically used in recording studios and PA systems, where you might need to make it easy to route various audio sources to any available signal processing devices. Patch bays also reduce the wear and tear associated with repeatedly plugging in and pulling out audio cable connectors, like microphone cables of studio monitor cables. As an added benefit, they help reduce–if not totally eliminate–the need to frequently reach behind racks in order to connect a new piece of studio equipment or to track down and repair broken cable connections. What features should you look for in a patch bay? Patch bays are typically fitted with TRS jacks, which will accommodate most types of audio equipment. Depending on your needs however, you may opt for patch bays that have XLR, RCA, mono TS, or some other type of connector. TT or “tiny telephone” jacks are favored for their small size, which allows you more patch points in a standard 19” rack unit. When choosing a patch bay, the most important consideration is the number of inputs and outputs available. Even if you only have a handful of equipment that you want to patch in, it’s a good idea to invest in a patch bay that has more I/O than you need right now. This will ensure that you are able to accommodate future equipment purchases or acquisitions. Connectors are more than a matter of aesthetics. RCAs might seem like a good idea, but keep in mind that they are not capable of passing balanced signals. You will then be unable to incorporate equipment with balanced inputs such as a mic pre or a mixer. Most RCA-equipped patch bays are also closed configuration devices, reducing your connectivity options. If your studio is short on space, TT-equipped patch bays might be worth considering. In addition to providing you with more patch points, they also give you more configuration options via the rear solder points they are typically fitted with. Now let’s take a look at some patch bays that we recommend. Remember to read the Final thoughts section for the final verdict. The Samson S-patch Plus is a fully balanced 48-point patchbay that has enough flexibility for most studio applications. It’s easily configured via a front panel switch, so it’s ideally suited for new users as well as more experienced studio boffins that require a fair bit of versatility from their patch bays. With its low noise and robust construction, S-patch Plus could very well be one of the best patch bays in this price range. User reviews of the Samson S-patch Plus are overwhelmingly positive, with most comments pertaining to its solid build and durability. The ease by which it can be configured gets a lot of great reviews by users, especially those that haven’t settled on any particular way of working yet. Also popular among new users are the routing diagrams printed on the top panel, which provide helpful hints on the various ways by which patch bays can be set up. Those looking for a balanced patch bay with 1/4” connectors would do well to consider the Samson S-patch Plus. The build quality is pretty impressive for the price, and the ability to switch configuration settings from the front panel will definitely help new users well along the road to familiarity. Even though the printed configuration diagrams on the top panel make this patch bay ideally suited to beginners, it will continue to be useful in your studio as your needs become more complex. The ART P48 is a TRS-equipped 48-point balanced patchbay that’s been said to have reliable performance in a rugged steel chassis. Switchable between normal and half-normal modes, it does away with the “thru” setting found on most other units. Nevertheless, the P48’s combination of flexibility, performance, and the trademark ART durability makes it a worthy contender in the affordably-priced patch bay category. Most reviews of the ART P48 praise the unit’s durability and simplicity, particularly with regard to being able to switch between normal and half-normal settings with the push of a button. Some users did complain about the mode selection switch placement in between the jacks at the rear of the unit. Interestingly enough however, only a few mentioned the absence of a “thru” mode. In general, the ART P48 gets pretty good marks from hobbyist users and even quite a few working pros. If you value looks as well as functionality, you will find the ART P48 a worthy addition to your studio. The switch that toggles between normal and half-normal settings is a definite plus, even without the inclusion of a “thru” setting. Although we would have preferred to have this switch more easily accessible, it is still better than patch bays that require you to open up the chassis in order to change configuration settings. As it stands, the ART P48 provides excellent value for the money, and you could do much worse than to have this unit in your rack. Neutrik’s NYS-SPP-L1 is an affordably-priced “modular patch panel” with 48 points. Housed in a rugged metal chassis, it’s robust enough to hold up to live use, although its feature set suggests that its true potential lies in a studio setting. Like the company’s famous connectors found in audio equipment the world over, the NYS-SPP-L1 combines rugged reliability with the ease of use of a well thought out piece of equipment. Most users of the Neutrik NYS-SPP-L1 have been drawn to the brand because of the excellent reputation of their audio connectors. Judging by user reviews of the patch bay, it seems that most are satisfied with their choice. The Neutrik NYS-SPP-L1 is routinely praised for its solid construction, and also for the ability to switch configuration settings on a per PCB board basis. Although some users did complain about having to pull out the boards in order to change settings, most appreciated being able to do so without having to pull the entire unit out of the rack. The Neutrik NYS-SPP-L1 takes a page out of its own playbook with a rugged and durable patch bay that seems to be every bit as reliable as its ubiquitous connectors. Capable of handling most every requirement in both hobbyist and semi-pro settings, this could very well continue to be a useful part of your studio even as your needs grow. An external switch for changing configuration settings would have been preferable, but the ability to pull out the jacks while the unit is racked is admittedly the next best thing. If you’re looking for a patch bay that delivers reliable performance and a good range of configuration options, the Neutrik NYS-SPP-L1 should make it into your short list. The DBX PB-48 is a 48-point patch bay that offers half-normalled and de-normalled operation. It has a simple and straightforward design, this budget-priced patch bay is reminiscent of classic DBX pieces that have been studio mainstays for years. However, although the generally acceptable performance places it in the category of other patch bays costing many times as much, some corners have obviously been cut in the design and construction of the PB-48, as we will explain below. The DBX PB-48 hasn’t really received a lot of user complaints with regard to performance. Those that have taken the plunge and purchased this unit report quiet and stable operation, and generally reliable performance and functionality. However, the open construction of the chassis casts some doubt as to whether or not this patch bay will be able to go the distance without breaking down. Concerns have also been raised with regard to the attachment of the circuit boards to the frame via a single plastic nut. For many users, this design seriously compromises the durability of the DBX PB-48. DBX is generally known for their ruggedly reliable equipment, and although the DBX PB-48 does share many of the physical characteristics of the company’s other rackmountable devices, we can’t help feeling a bit letdown by this one. The open frame that leaves the circuitry exposed doesn’t inspire much confidence, and neither does the use of a single plastic nut for affixing the individual modules to the frame. Although the PB-48 will likely provide the trademark DBX performance and functionality at the outset, we can’t say that it will keep doing so for an appreciable length of time. The Hosa PDR-369 is a 12-point patchbay with female XLR connectors on the front and male XLR connectors in the rear. The jacks can be reversed from front to rear and vice versa, providing a straightforward solution to basic routing needs. A simple unit with fairly modest connectivity and configuration options, it is nevertheless a good starter unit for those just beginning to explore the possibilities of patch bay usage. Most user reviews of the Hosa PDR-369 seem to come from beginner users that are just beginning to appreciate the value of a patch bay. Given their more rudimentary requirements, these users unsurprisingly tended to favor the simplicity, ease of use, and low cost of the PDR-369. Many users have also favorably mentioned the ease by which the jacks can be reversed, which provides a fair bit of flexibility right off the bat. As far as budget offerings go, the Hosa PDR-369 provides pretty decent bang-for-the-buck. Although it isn’t the prettiest or most robust option out there, the ability to reconfigure the XLR jacks is a nice feature for such an affordably-priced unit. The 12 mic inputs might leave you wanting, particularly if your requirements go beyond that of the hobbyist stage. Even so, the PDR-369 is a good entry point into the fascinating world of patch bay usage. Many of these patchbays are pretty good. But as you may need to choose one, we’ll figure out which is best for our final analysis. In terms of performance, functionality, and capability, the Samson S-Patch Plus is the clearly considered the best patchbay for home studio owners. With its normal, half-normal, and thru options–and the ability to easily switch between them from the front panel–this is one patch bay that beginners will undoubtedly find useful in their quest for greater patch bay knowledge. Nevertheless, it provides enough functionality for even more experienced users to get plenty of use out of it as well. Coming in at a close second is the Neutrik NYS-SPP-L1. Although it isn’t quite as easy to configure as the Samson S-patch Plus, the ability to switch between configuration settings without having to pull the unit out of a rack is a nice touch. Quality construction and the trademark Neutrik durability further adds value to what is a pretty good patch bay for the money.